Read more about Want to Age Better? Join a Chorus! 3rd Annual Fete a rousing success! Pride of Portland’s third annual Spring Fete Fundraiser, held on June 3, 2017, was another successful event! 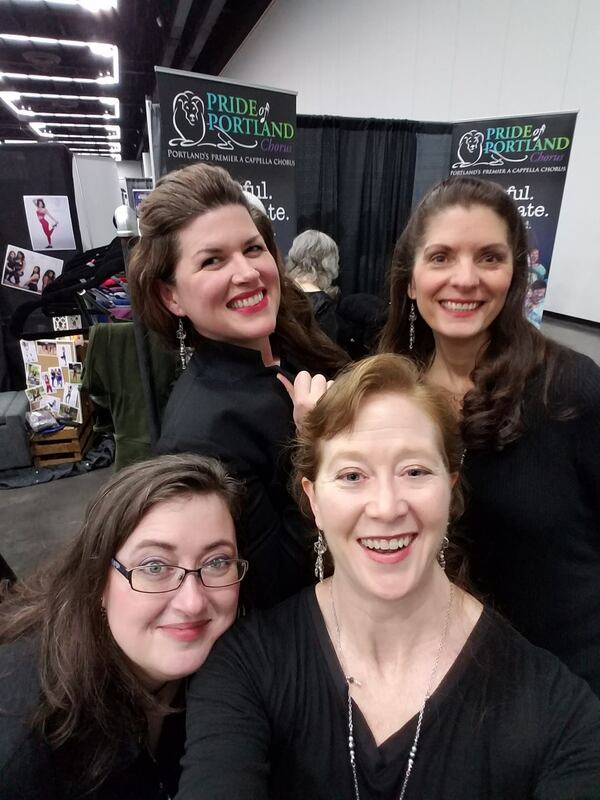 At Pride, we define success as good singing, good fun, good food, and great donations to help Pride of Portland continue its mission to “joyfully commit to education and musical excellence primarily in the barbershop style”! Pride of Portland and about 130 chorus friends and sponsors gathered at Oaks Park in its historical Dance Pavilion for a few hours of entertainment. The chorus sang, the guests purchased wine and restaurant certificates and played the bead necklace game (you’ve got to come and play for yourself), and all enjoyed delicious, catered hors d'oeuvres. Master 700 Director Ryan Heller passionately talked about the chorus, the music, and barbershop. Read more about 3rd Annual Fete a rousing success! Pride of Portland said "Kia Ora" on Sunday, February 19 to new-found friends in New Zealand! A group of over 100 members, guests, and family spent two weeks singing, sightseeing, and meeting the fabulous people of New Zealand! The idea was hatched back in 2012 when Portland Chorus’ director, Ryan Heller, shared with Kate Veeder, a Kiwi Sweet Adelines, his dream of visiting the shores of New Zealand with the chorus.That dream became reality when New Zealand Sweet Adelines volunteers became a team of can-do people who happily pitched in as volunteers.Galvanized by Kate, they met and got underway to create a tour that would celebrate New Zealand’s best. Read more about Kia Ora, New Zealand! Pride of Portland Chorus competed at the Sweet Adlelines International Convention on October 20 and 22, 2016, in Las Vegas, NV. And WOW, what a week! When things were all "said and sung," we came home with a 6th Place International medal; a wonderful reward for many, many months of hard work! We want to acknowledge our special coaches, Erin Howden, Sharon Babb, Carole Persinger, and Sandy Marron. Thank you for all your pearls of wisdom and vocal skills you shared with us. Read more about 2015 Annual Show A Smash Hit!